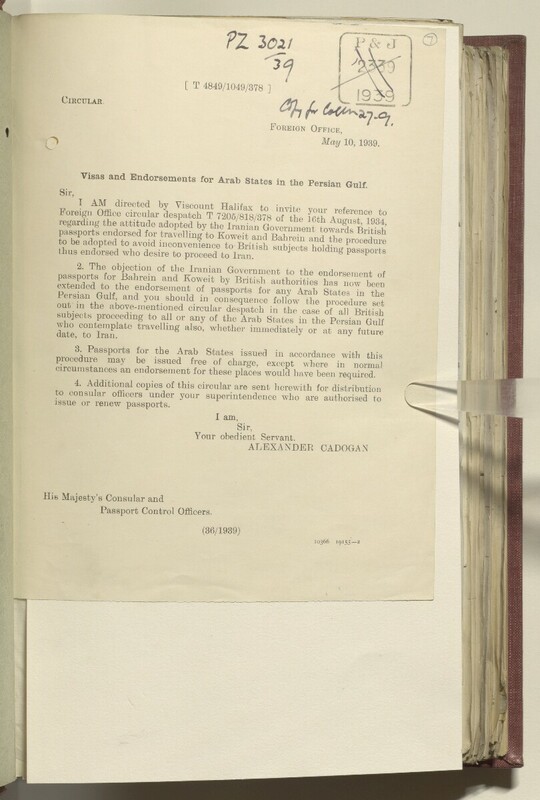 Visas and Endorsements for Arab States in the Persian Gulf Historically used by the British to refer to the sea area between the Arabian Peninsula and Iran. Often referred to as The Gulf or the Arabian Gulf. .
subjects pioceedmg to all or any of the Arab States in the Persian Gulf Historically used by the British to refer to the sea area between the Arabian Peninsula and Iran. Often referred to as The Gulf or the Arabian Gulf. circumstances an endorsement for these places would have been required.